TV One's UNSUNG Premieres with KC and The Sunshine Band! On Wednesday, Oct. 7 travel back to the glory days of the 70s as pop, funk sensation KC and The Sunshine Band are featured in the season’s premiere episode of the award-winning series Unsung on TV One. Join members of the band and leader Harry Wayne “KC” Casey as they recount the story of how their band quickly became, and has remained, a household name. KC and The Sunshine Band’s classic songs like “Shake, Shake, Shake (Shake Your Booty),” “Get Down Tonight,” “That’s The Way (I Like It),” “Boogie Shoes,” and more topped the charts worldwide and, still today, are some of the most-played party songs of the modern decade. Utilizing first-hand accounts from band members, interviews with family and friends, and archival footage, each episode of TV One’s Unsung, weaves a tale of the highs and lows of a life in the limelight. These poignant stories offer insight into the trials and triumphs faced in both private and public life. 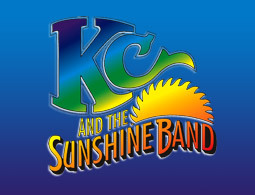 Tune in Wednesday, Oct. 7 at 8 p.m. EDT / 7 p.m. CDT for KC and The Sunshine Band! To check your local channel listings, click here.